The turnarounds are a way to look at the original stressful thought from different perspectives. There are 3 or more ways to turn the thought around: to the self, other, and opposite. For example, if I am believing the stressful thought, “he doesn’t appreciate me.” I see the following turnarounds and would find at least 3 examples for each. 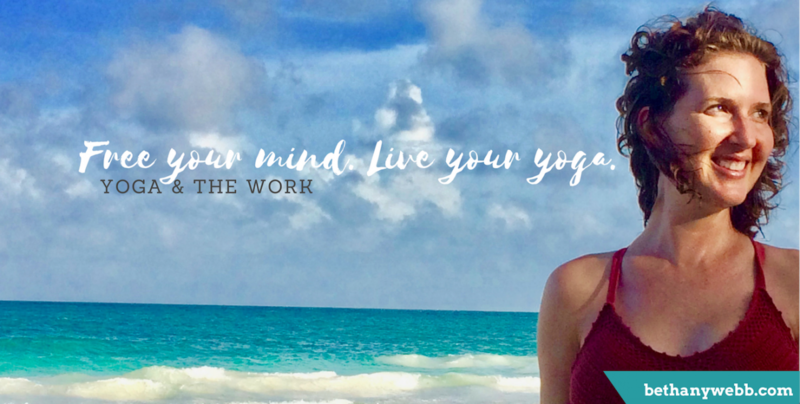 The Work is my go-to peace tool for dealing with stress around my recent breast cancer diagnosis, treatment plan, and life after treatment. Inquiry has taught me a completely different perspective on pain & illness: it’s here FOR me. It’s my guru; a teacher of unconditional love, compassion, and presence. Something I once thought would be my worst nightmare has become my greatest blessing. Follow my cancer wellness blog to learn more about this journey. With this work, I continue to find that reality is always kinder than the stories in my head. Whew! I still continue to explore The Work on a daily basis and I have yet to find a stressful situation where The Work doesn’t serve me. Do I still experience stress? Yes. The difference is now I know what to do with it ~ it feels like I have the most compassionate inner support system. And please don’t believe me at all, I invite you to test it out for yourself. Contact me to set up a private session or invite me to lead a workshop or retreat. ITW credits are available for candidates in ITW’s Certified Facilitators Program.